Northern Ireland whose capital city is Belfast, is part of United Kingdom which includes 6 counties. 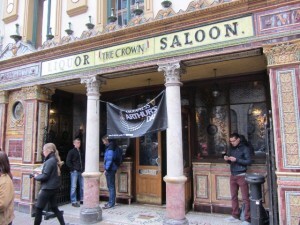 In development, Belfast is much more than a city with a troubled past. Let’s know more about Belfast with Melissa. Thanks to Melissa for answering my questions. She is the owner of a blog called AddAReview! Let’s visit Belfast. Christelle : Could you introduce yourself please ? How often do you go to Belfast? Melissa : Hello, I’m Melissa! A 22-year-old Journalism graduate, from a small seaside town in Northern Ireland, about 50mins from Belfast. I’m also the owner of a little blog called AddAReview! I’m in Belfast very regularly ( at least once a week) as I have lots of friends who live in the city. What would you advise to anyone who would like to visit Belfast? Well firstly I’d advise them to definitely do it! There’s no real guarantee of good weather in this country, but if you are thinking about visiting, I’d advise either summer months or Christmas time! During the warmer(ish) months the city has a lovely atmosphere, with beer gardens over flowing and parks out in bloom. Christmas time also does the city proud with it’s impressive decor of the City Hall, as well as the opening of continental markets each year! As for hotels etc, there’s no real need to worry about being ‘too far out’ – it’s a pretty small city so you’re never too far from the centre. What are your top 5 attractions/museums? Hmm well, top of the list has to be the new Titanic Centre, which is not only impressive to look at, but also super interesting and informative.The also City has it’s own Ulster Museum, which has quite recently expanded, with lots of different exhibitions, including it’s very own Egyptian mummy. 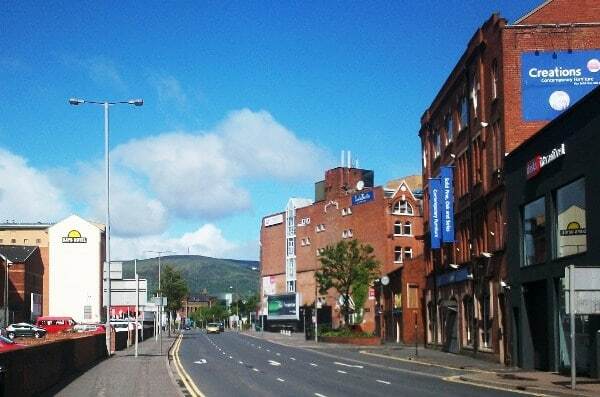 Something I’ve always wanted to do is take the Belfast Bus Tour – the city is steeped with very recent history, so I imagine it to be pretty interesting. Do you have any girly tips in Belfast for anyone who would like to live in Belfast? Well firstly, on the clothes side of things – bring lots of layers! Northern Ireland is definitely not a warm place, so scarves and gloves are must throughout a lot of the year! The city has plenty of nice places to eat, and even more to drink! If your searching for a cocktail bar, check out Filthy McNasties, a relatively new bar in Belfast. It’s pretty quirky, with it’s very own secret garden and cocktail lounge. Definitely worth a look in for any female (and male!) visitors. If your looking for a nice place to eat check out Cafe Vaudeville – the decor is impressive and the food is beautiful! As for shopping, the city really has improved soooo much over the years. Victoria Square is the main area of shops, with a great range of choice for any girls living in the city. Of course, if you search around a little bit, you’ll also come across cute boutiques, such as Liberty Blue, and other little vintage shops. The city is also a great place for live music, so make sure you keep up to date with local acoustic nights and gigs. On your blog, you wrote an article about the way the media introduce Belfast on TV. What are the “clichés” you would like to talk about? It’s pretty hard to ignore the fact that when Belfast is mentioned on national television, 99% of the time it is negative coverage. And yes, Northern Ireland has it’s problems, but I felt the programme, which I spoke about in my blog post, was unnecessarily reproducing these negative stereotypes of the city, such as stagnant views, violence and sectarianism. 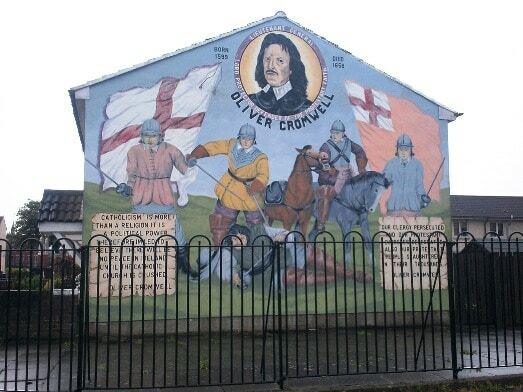 As I wrote before : “the untrained eye is made to believe that the whole of Belfast holds these views; that the only thing worth doing here is marching in dangerous band parades, throwing glass bottles and holding a strong hatred for the ‘other side”. Well I’ve lived here my whole life and I can confidently say that none of the above apply to me, nor anyone I know. Belfast is a beautiful city with so much to offer. 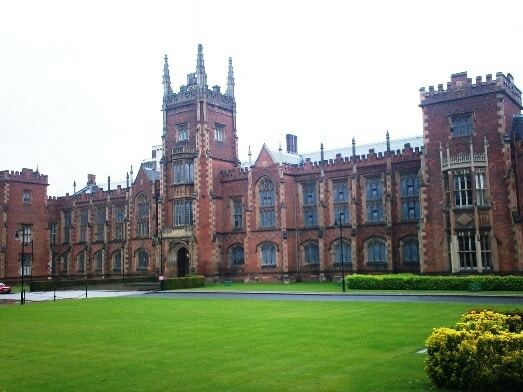 Asides from the ongoing development of great shops, restaurants and amazing bars, it also is home to Queens University and the University of Ulster. As such, it’s student population is thriving; mixing from all members of the community, as well as other countries and cultures. It has a lot to be proud of. It’s music seen is buzzing with lots of amazing talent from local bands; people forget that the likes of Van Morrison, Snow Patrol, Two Door Cinema Club were born in this little country! The city has it’s own relaxed style, which tends to be pretty alternative and creative; people are friendly and always Happy to hear the craic ! 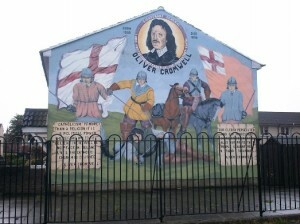 Basically, there’s so much more to Belfast than just petrol bombs and violence, and that’s what I wanted to get across. According to you, what are the main differences between Dublin and Belfast? Well I know Belfast much better so I guess this will be a little bit bias, but, I’d say the main difference is the tourist influence. 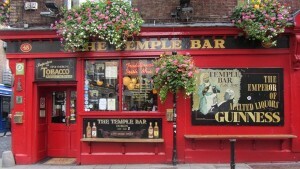 As much as I love going to Dublin, it’s hard to ignore the over-exaggerated Irishness of areas such as Temple Bar, which are purely for tourist entertainment. This for me means Dublin loses a bit of it’s authenticity. I actually believe that Belfast holds a more true light to living life on the Emerald Isle; perhaps because the city doesn’t have the same tourist expectation. So for me, Belfast tries less and is more relaxed. However in saying this, Dublin has an amazing atmosphere; almost a European holiday feel if you strike it at the right time. It’s much bigger, and I guess has more to offer in the sightseeing side of things. Very interesting! Thanks a lot for answering my questions.